Open Source editor Canonical continues to target mobile. 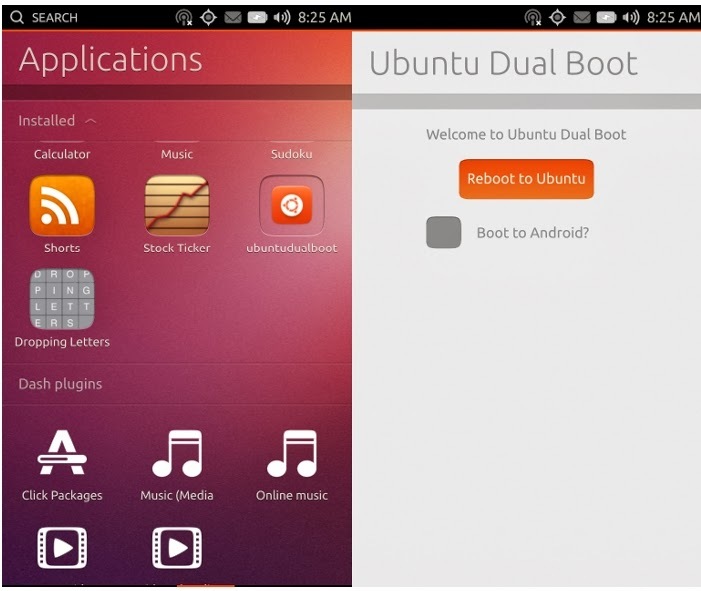 It has delivered for developers to preview a solution dual boot Ubuntu App for Android smartphone. Its project to Ubuntu Edge Hurry deflate but Canonical smartphone does not admit defeat in the field of mobility. The publisher of the Linux distribution has unveiled a solution dual boot Ubuntu on Android smartphones equipped with Google's mobile OS. This service is only for developers because it requires skills flashing firmware and partition management smartphones. "The dual boot rewrote the recovery partition and Android installation, the user must be familiar with the reflash in case of trouble," said the publisher in a blog for developers. Canonical says that the rocker on its OS is easy because it is managed via a mobile Ubuntu app. "There is no need command line, or key combinations to change OS, simply click on a button," says David Planella, application developer Dual Boot. This solution is compatible with several distributions of Android, AOSP, CyanogenMod or stock.